Anyone will feel uncomfortable with scars nevertheless not go away, especially on the part or member of a body that looks like the face, hands, feet and other body parts. In addition to damaging the appearance that can impact on a person's self confidence. Not only is the problem that will be disturbed by the appearance of scars, but if untreated (ambulatory) properly then the former can never be lost. Tips or how to remove scars and acne scars that you can do naturally by utilizing traditional ingredients / herbs that can be an alternative after unsuccessfully trying various medical means. You need to know that nature is all around us, such as plants (fruits) and honey is a material that can be used as a cure for various diseases. What are the types of plants that can be used as a reliever medication scars that you can use? Please see below a brief review. → Honey, who is not familiar with this multifunctional substances. Honey can also be used to remove the scar, you can apply pure honey is on the injured body part, and allow approximately 20 to 30 minutes. Next, clean or rinse with warm water. Keep doing this way several times a day and until the former can be lost. 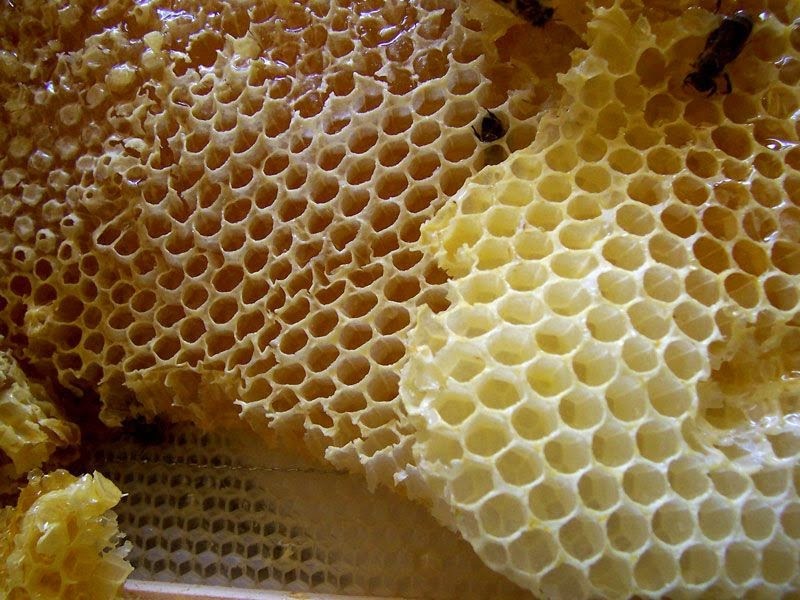 Hopefully Honey functioning and able to stimulate cell regeneration, cooling and also relieve pain / pain will get rid of scars on your body parts. → Green Tea, plants that have antioxidant content of epigallocatechin gallate according to health experts turned out to have a capacity of up to 200 times more powerful than vitamin E. This substance has been shown to reduce the activity of hormones that cause acne, inflammation of the skin, controls oil production and eliminate injuries acne scars. How to use it is by with cotton or a small towel that has been moistened with green tea. Next, wipe it on the wound that had previously been cleared. Cucumis sativus → (cucumber), the Latin name of a fruit that not only contains vitamin C and potassium to ward off free radicals, but it also has a fairly high water content and refreshing. Joel Schlessinger (dermatologist) concluded that the cucumber also contains silica which can increase collagen production and prevent the appearance of wrinkles. Not surprisingly, many of the products that use cucumber as an important part of skin care is good for toning, moisturizing the skin, acne, and even to get rid of scars on the skin. For scar removal, wash the cucumber, then cut the cucumber into small pieces and then puree in a blender or ground. After a smooth, apply on the scars and leave it all night. If done regularly, the scars can gradually became faint and disappeared. → Pare, we are familiar with this bitter fruit is one of the herbs that have many known health benefits. And in fact, in addition to the fruit, the leaves can also be used to camouflage scars. How, wash thoroughly Pare handful of fresh leaves. Then, knead until smooth. Add a little warm water, then squeeze. Then, mix the juice with 2 tablespoons of rice flour until the texture is like a lotion. Then, stir until evenly distributed. Apply on the scar. Allow to dry and rinse thoroughly. → Leaves Mint or Mentha Piperita, this is an herb that is widely used for various products such as toothpaste, mouthwash and wind oil. In addition, the mint also has benefits that are good for skin health. Mint leaves are often used to help acne, burns, and even too powerful to remove the scar. The trick, take a few leaves of mint. Wash and puree to form a scrub. Next apply to your injured area. → Aloe Vera, first known as hair grower plants naturally. Later, aloe vera is also used for skin care. No wonder, because the lignin content and amino acids contained in these plants can moisturize the skin and regenerate skin cells. Aloe vera also has anti-inflammatory that can reduce inflammation in the skin and remove scars. The trick is to apply aloe vera mucus in the scar regularly. Be careful to avoid contact with the sap of the aloe vera part because the sap can make skin itchy. → Noni juice, scopoletin containing compound, the compound is very effective as an anti-inflammatory. Some people who already know the content of Noni juice even use it to eliminate their burn scars. Soak a small towel with Noni juice. Then, compress these scars and leave to dry. Then, rinse with warm water. Perform routine day 2-3 times a day until the scars disappear. In addition to not having side effects, using plants or herbs to remove scars and acne scars can certainly save money because it is done alone at home. Hopefully the brief information related premises & Beauty Tips can be useful and of no benefit to us all.